Select the following menu items: data list / a/fs b1 s1 and o2s b1 s2. 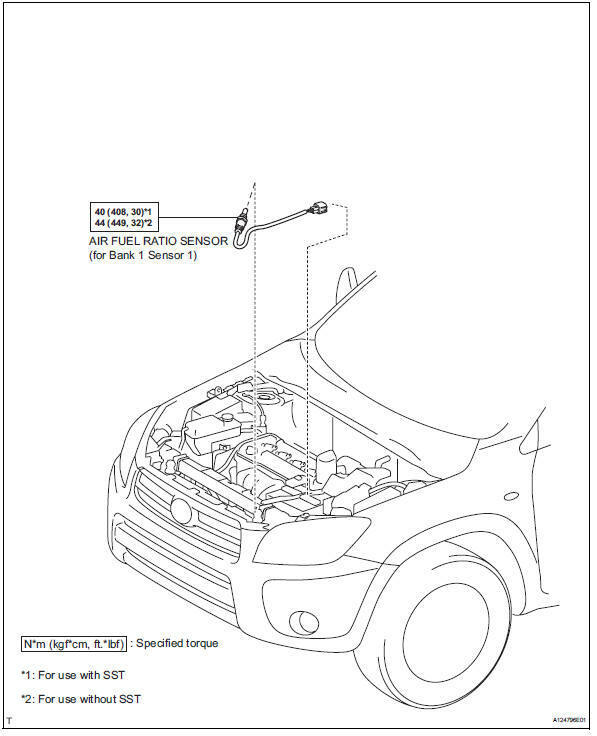 Warm up the a/f sensor with the engine speed at 2,500 rpm for approximately 2 minutes. 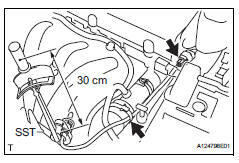 Keep the engine speed at 2,500 rpm and confirm that the display of "a/fs b1 s1" is as shown in the illustration. 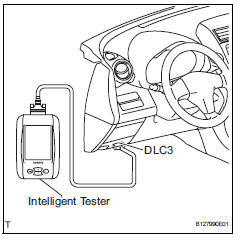 The illustration may slightly differ from the display on the intelligent tester. Only the intelligent tester displays the waveform of the a/f sensor. 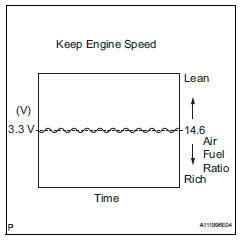 Confirm that the display of "o2s b1 s2" changes between 0 to 1 v with the engine speed at 2,500 rpm. Ok: the voltage output oscillates more than 8 times in 10 seconds. 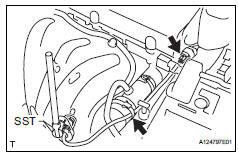 Perform the check immediately after warming the engine up. 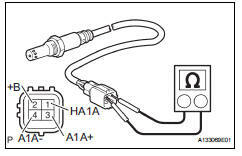 If the voltage variation could not be verified, warm up the a/f sensor again. If it could not be verified even after warming up the sensor again, check for dtcs (see page es-292). Using sst, remove the sensor from the exhaust manifold. Using sst, install the sensor to the exhaust manifold.